Three generations live in a farmhouse, looking after the cows and sheep spread out over the moorland. In God’s Own Country, the matriarch (played by Gemma Jones) looks after her son Martin (Ian Hart) who has had a stroke and while he’s still vocal about what needs done on the Yorkshire farm, he’s no longer able to be as physically involved leaving young Johnny (John O’Connor) to do the heavy lifting. For much of the film, the animals have as many lines as the humans, emphasising the isolation of rural life in the West Ridings. Johnny’s only relief from the hard work and drudgery is his routine of heading into the village to get drunk. That and his habit of catching the eye of another lad across a bar or the cattle mart café in order to engage in a spot of rutting in the nearest toilet or animal trailer: emotionless and speechless, like his farming. Even Bradford seems exotic when your hands smell of animal midwifery and your boots reek of dunging out the barn. Into Johnny’s depressed world comes a Romanian worker Gheorghe (Alec Secareanu) who at first is demeaned and bullied until a physical tussle arouses another set of feelings. The friendship is kindled after a spot of dry stone walling and Pot Noodles up on the higher ground. Slowly the tenderness with which Gheorghe tends to the lambs rubs off on Johnny. His father’s second stroke gives the two friends space to live as a couple in the otherwise empty farmhouse, only to be disturbed by Grandma’s return to get fresh pyjamas. Gemma Jones is barely old enough to be Martin’s mother. She portrays a woman who is clinical and incredibly direct. The well crafted story reveals her own disappointment at living on a farm, and any hint of disapproval of the budding relationship in the bedroom upstairs is suppressed with a poignant understanding that the farm will fail unless there are big changes. Of course, this story of passion on the Pennines has to be spoilt by Johnny’s well-oiled zip to give the film the final sequence in its triptych. Music is nearly as sparse as the dialogue, only appearing to signify moments of a heart’s retreat from isolation to reach a happier place. 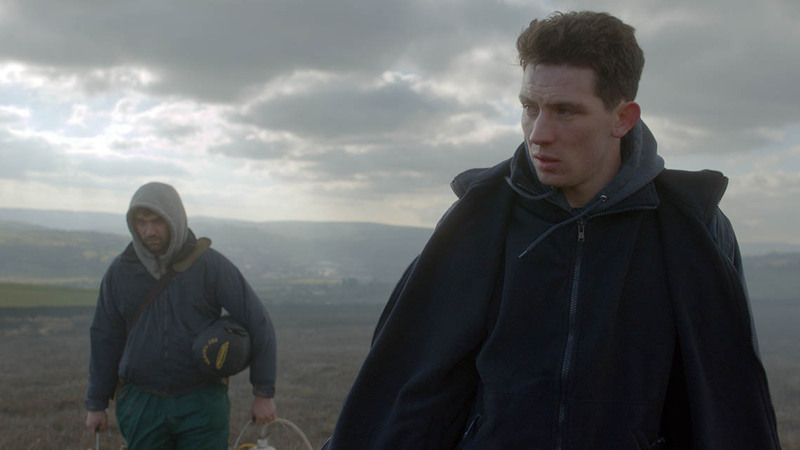 There are lots of nice touches – like the fleece-grafting/jumper wearing symbolism – that another filmmaker might have missed or fumbled into a laboured cliché. 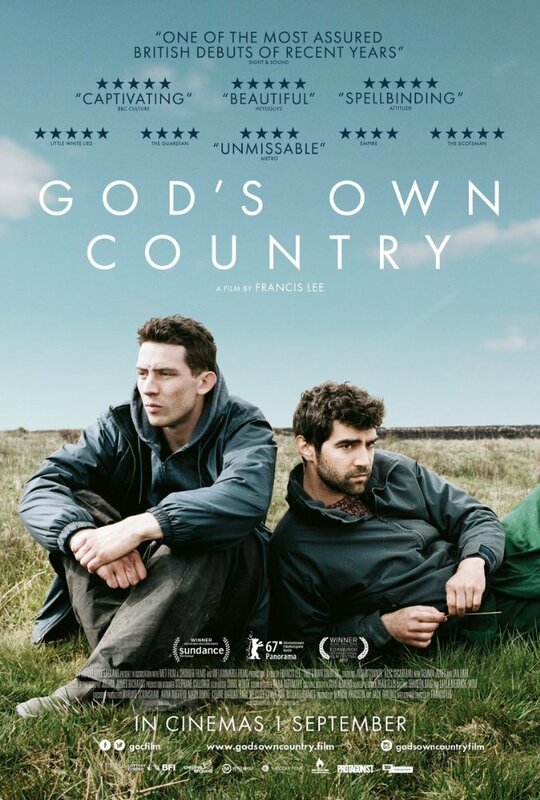 The nuanced performances given by the actors as they noticeably adapt to ill health and the downward trajectory of the farm’s balance sheet say a lot for both the talent of the cast and the writer/director Francis Lee for whom this is his full length feature debut. Ian Hart’s slide from being argumentative to become meek and grateful is heart-warming. 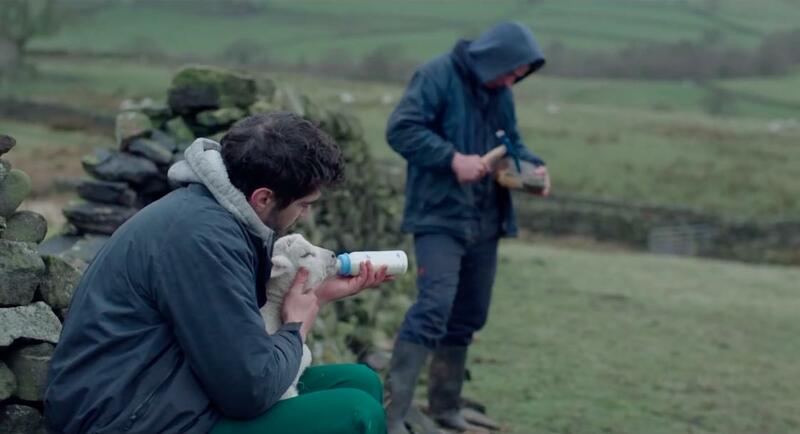 At first this is a great advert for the Yorkshire Dales and the work ethic of Romanian farmhands – not to mention their capacity for caring, conflict resolution and cooking – while Johnny makes an awful poster child for the rural England’s youth. Can broken fences be mended? With sufficient patience, can a pot of Yorkshire Tea brew into something satisfying? It seems t’up North dreams may yet come true. God’s Own Country opens in the Queen’s Film Theatre on Friday 8 and runs until Thursday 21 September.